for the Fashion Week Fukuoka this coming Saturday! creators and fashion schools of Fukuoka. 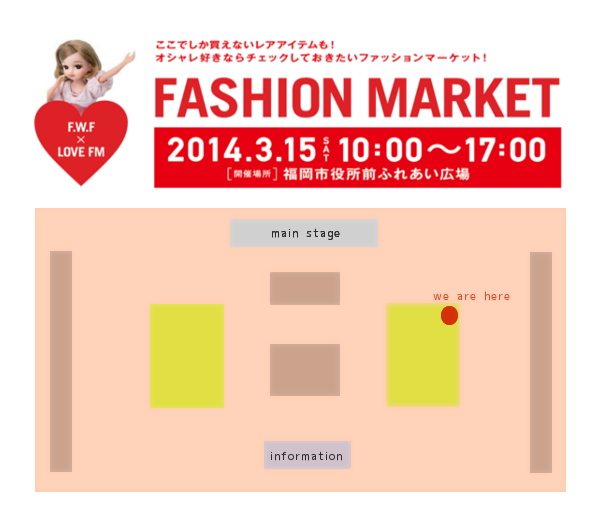 There are also going to be fashion shows and music performances featured throughout the day. And we will be there in person, putting up most of our popular items for sale at the market event ! So do pop by if you happen to be in town! It is going to be fun! Here is a little store map of the event. MONOCIRCUS will be participating as part of the MINNE 'umbrella' at the space signified in yellow. 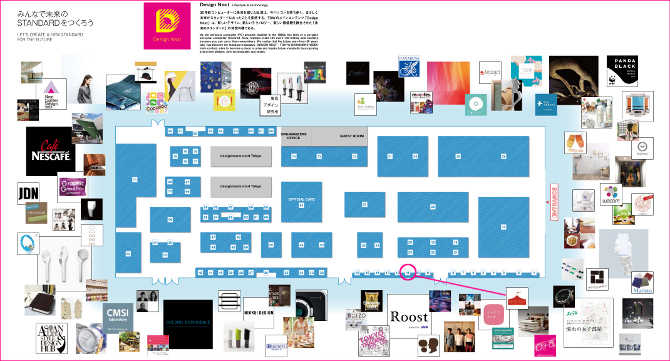 From October 26th, MONOCIRCUS is going to be exhibiting at TOKYO DESIGNERS WEEK 2013 ! 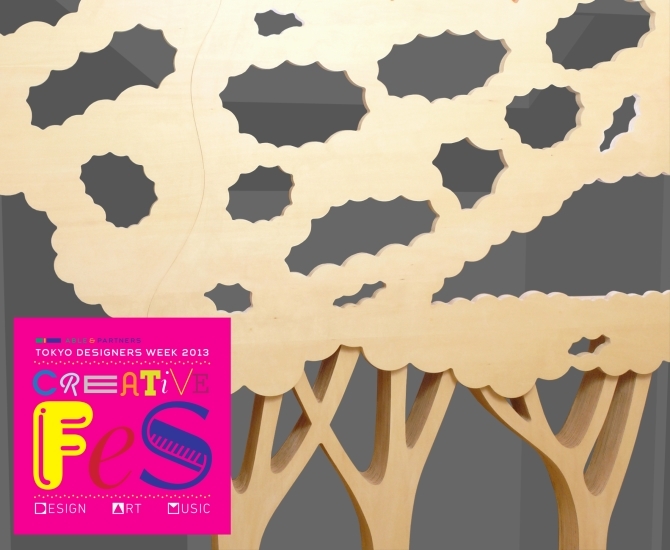 Our 3D printed creations are going to be exhibited in a small booth at the DESIGN NEXT tent exhibition. as well as have a chat with us personally! some of the most fascinating design work from around the world! For details about the venue, click here. on the left side of the tent from the entrance, near the MOMA design store! For details about where we are going to be, click here! 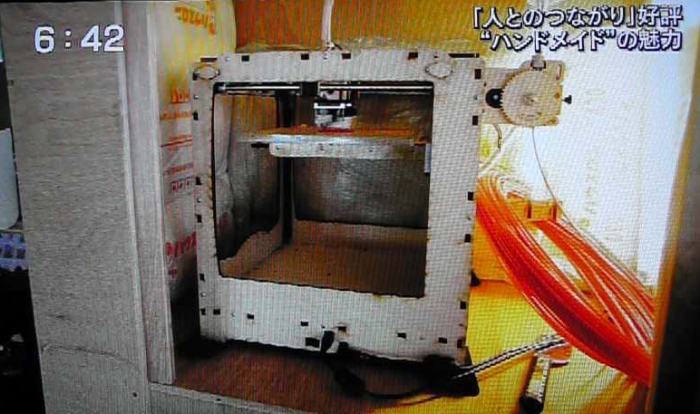 the KBC news crew recently visited our home and studio to film us and our little 3D printer. 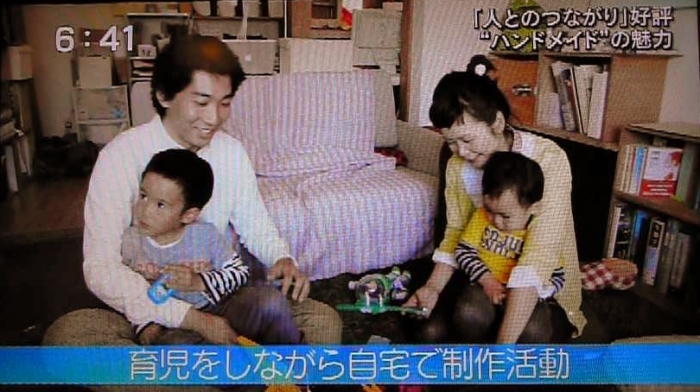 and they featured us in their evening news program at 6.40pm Tokyo time on May 13, 2013.
to see the environment we work in. Below are some of the screen shots we took of the news program on TV. we were featured as a family! cos we could work on our creations and our sales while being at home and caring for our boys. our creations were beautifully filmed and featured, thanks to the wonderful camera man. 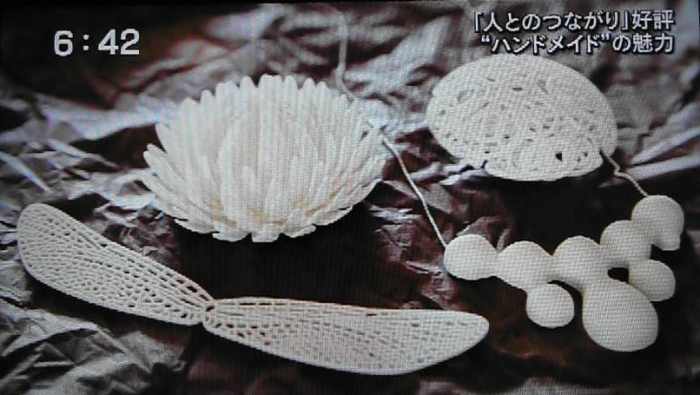 our little 3D printer was filmed in the midst of printing a simple lotus item. this was our set up at the department store, Iwataya. with such close-up shots on screen. but we are really happy that we got chosen for the feature as it goes to show that our creations have been well received. it has been an interesting experience and we are really thankful for it. to find a bigger place where we could live and work. and have friends and fans and customers over to see our work and how we work. Feature on KBC TV tomorrow evening! 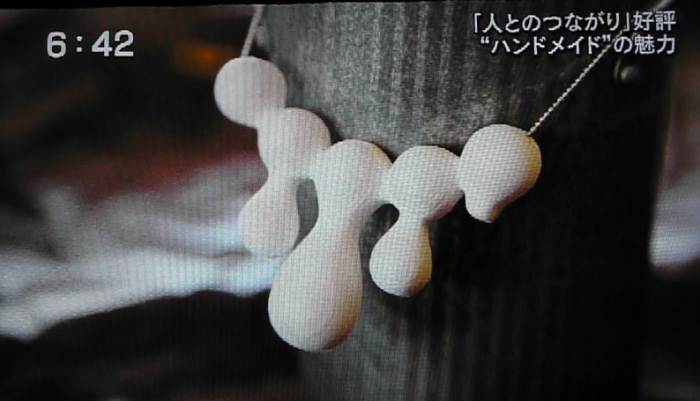 MONOCIRCUS is going to be featured on Kyushu Asahi News program on TV tomorrow evening! and the interview will be featured in their news program on television at 6:30PM Tokyo time tomorrow, 14 May 2013! 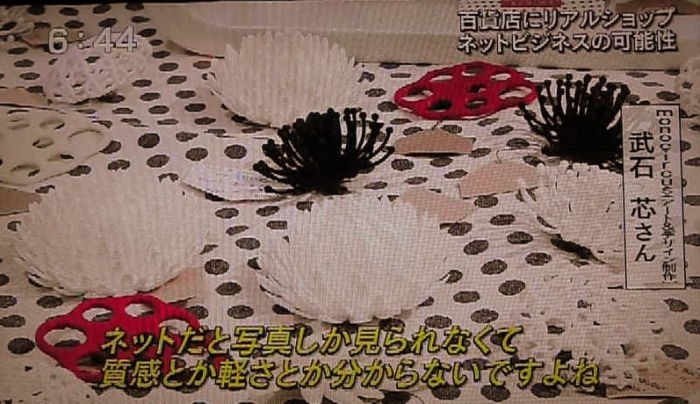 as well as the market event at IWATAYA which is currently ongoing until 21 May 2013.
as it is going to be the first time we will be seen talking about our work on TV with our tensed and unnatural expression! and hope that the feature is going to bring us more visitors and patrons! a Japanese online shopping mall for handmade knick knacks and accessories. starting from May 8th for two weeks up till May 21st. Some of the most popular items such as WHIP, KIKU, MIMOSA, BUDS,and METABALL will be on sale in the event. that will be featured on a news program on TV later next week! Last Friday, we just had our first shooting and interview experience right within our little home and studio along with our kids! An update about the news feature will be reported later on on our facebook posts and newsposts so do keep a look out!